Hello and welcome to our new school website. 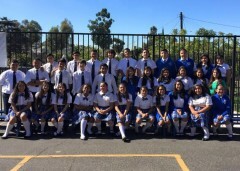 I am Miss Cortez and I have enjoyed teaching at Santa Teresita School since 2007. You are invited to explore our website and view our recommended links. In our class page you will find links to videos, and information about important assignments and upcoming events. However, if you have any questions, please contact me by parent note, or by calling the school office.